WPJ HEATING is the leading plumbing & heating company in London. We cover the following services. We perform all boiler, heating and plumbing related services. When we do your boiler installation we offer an exclusive guarantee on all Worcester Bosch boilers. We are on the diamond level of the Worcester Accredited Installer scheme which is the highest level of the scheme. It means that Worcester Bosch trusts us to install their boilers as intended and we can therefore give the longest guarantee on their boilers, 8-10 years depending on what boiler you choose to install. An annual boiler service is essential to maintain your boiler in optimal condition. Cleaning and checking a boiler once a year ensures that the boiler is running safely and guarantees the best economic performance of the boiler. An annual boiler service is also essential to claim warranty from the manufacturer should a repair or replacement be necessary. We perform all boiler repair services. Common issues can be that radiators are not heating up properly, low boiler pressure or no hot water. We replace faulty components and heat exchangers, anything necessary to repair your boiler. We perform all plumbing services. Our plumbers fix leaks, install taps, fit showers, tile baths, re-silicone leaking baths, unblock drains, fix broken radiators, install washing machines and dishwashers. We also cover all other plumbing services. When it comes to new bathroom installation, we offer a free bathroom consultation and reliable finance options. Our meticulous and holistic approach focuses on the functionality of the new bathroom and we make sure to get the best possible performance out of every appliance. 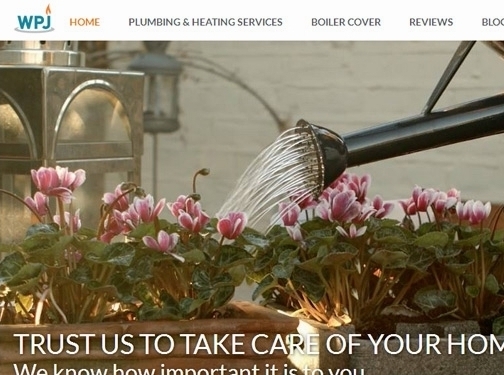 UK (London) based business - established in 2002 - providing plumbing and heating services. Website includes details of services provided, "meet the team" page, certifications and accreditations gained, testimonials, blog, terms and conditions, full contact details including company registration and VAT numbers.